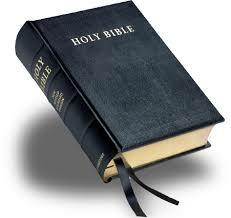 On this page, you will find some inspiring words about the Word of God. If you are wondering about which version of the Bible would suit you best, click here. For if, as Paul says, Christ is the power of God and the wisdom of God, and if the one who does not know Scripture does not know the power and wisdom of God, then ignorance of Scripture is ignorance of Christ. In Sacred Scripture, therefore, while the truth and holiness of God always remains intact, the marvellous "condescension" of eternal wisdom is clearly shown, "that we may learn the gentle kindness of God, which words cannot express, and how far He has gone in adapting His language with thoughtful concern for our weak human nature." For the words of God, expressed in human language, have been made like human discourse, just as the word of the eternal Father, when He took to Himself the flesh of human weakness, was in every way made like men. The Book is the very voice of the pilgrim People of God, and only within the faith of this People are we, so to speak, attuned to understand sacred Scripture. An authentic interpretation of the Bible must always be in harmony with the faith of the Catholic Church. The study of the sacred Scriptures must be a door opened to every believer. It is essential that the revealed word radically enrich our catechesis and all our efforts to pass on the faith. Evangelisation demands familiarity with God’s word, which calls for dioceses, parishes and Catholic associations to provide for a serious, ongoing study of the Bible, while encouraging its prayerful individual and communal reading. We do not blindly seek God, or wait for him to speak to us first, for “God has already spoken, and there is nothing further that we need to know, which has not been revealed to us”. Let us receive the sublime treasure of the revealed word. The Bible tells of God's relationship with God's people through the centuries. This record always needs to be interpreted in the context of the church's faith, prayer and worship, and in such a way that what scripture said for its original audience is faithfully re-expressed for the modern world. In the course of the liturgy you celebrate daily with your brothers and sisters in community or at least every Sunday in church, you hear Scripture readings and listen to a homily, a gift which explains and concretises the texts which were read. In this way you stand before the Word of God, living and active and echoing within you. You stand before the very presence of the Lord, before Christ the Sower who is sowing the seed of his Word in you. Why should we read the Bible for ourselves? What are we looking for in that book that is so special?All who read the Bible feel that they cannot remain at a distance. If God reveals his own Heart in it, that is because God is seeking our heart.And the little we have understood becomes so evident and so urgent for us that from then on we bear it within ourselves and can do nothing else but put it into practice.